When Titan Robotics released the first Atlas 3D printer last year it was already a pretty great industrial quality 3D printer. It had a massive 30 x 30 x 45 inch (762 x 62 x 1143 mm) build volume, a heated bed for use with a wide range of advanced printing materials, a dual extruder option, sturdy steel frame and a Simplify3D software package with pre-set printer settings optimized for the Atlas. It was a solid, high-end printer that was positioning itself as an alternative to machines that often required expensive service contracts and had higher price tags. The Atlas was aimed squarely at the commercial and industrial markets that were looking for a machine more robust than an average desktop 3D printer, but more affordable than most industrial quality options. As with any 3D printer there are always improvements that can be made, even to high quality machines like the Atlas. This week Titan Robotics announced that they are releasing the Atlas 2.0 Large Format 3D Printer, which will add several new features that make it a more reliable and adaptable machine. The new Atlas 2.0 bumps up the already impressive build volume to 36 x 36 x 48 inches (762 x 62 x 1143 mm), and it also adds more durable CNC milled parts, Yaskawa AC Servos, new high temperature lubricants, and free 24/7 customer service. Not to mention a new heated printing bed and an optional heated steel enclosure which can maintain a consistent temperature up to 85°C (185°F). That makes the Atlas 2.0 one of the largest industrial quality FDM 3D printers with a heated enclosure. “Our customers need these machines for industrial production capabilities with ABS, and we provided a real solution to creating large format ABS parts without warping at any height. Government contractors, manufacturing shops, universities and 3D print shops are coming to us because they are looking for a machine that is tried and tested and will print 200+ hour print jobs consistently,” says Titan Robotics CEO and Founder Clay Guillory. Titan Robotics said that they have been working closely with their customers to build the ideal 3D printer that can be used in virtually any environment while maintaining consistent and reliable performance. The goal was to create a 3D printer that could be used anywhere, including in areas ranging from subzero temperatures to high humidity. The steel enclosure will protect the print from warping, cracking and all manner of glitches caused by environmental factors, and will make sure that the Atlas 2.0 is able to to print almost continuously without fail. The Atlas 2.0 has a printing speed of 150mm/s and a travel speed of 600mm/s, and it is compatible with almost any FDM filament on the market, including ABS, PLA, PETG, Nylon, TPE, Ninjaflex and many of the newer advanced, high-performance filaments. Either the Atlas or the Atlas 2.0 can be fully customized with any of their available options based on the customer’s needs and printing requirements, so there is no need to purchase features that won’t be used. Purchase of the Atlas includes two days of installation and training, a one year warranty on any defective parts, complete and comprehensive user manuals and electrical schematics and unlimited phone customer service. The Colorado based 3D printer startup will be making their debut at this year’s Consumer Electronics Show (CES) being held once again in Las Vegas from January 6th to the 9th. Titan Robotics will be set up at booth number 72712 at the Sands, in Hall A-C and will be part of the 3D printing marketplace. What are your thoughts on this upgrade? 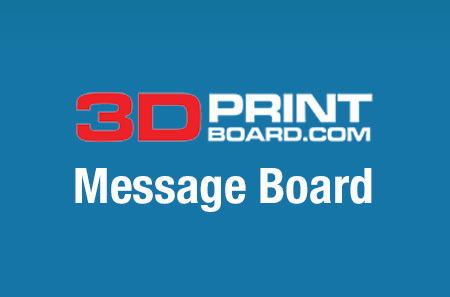 Let us know in the Atlas 3D Printer forum thread on 3DPB,com.